This high capacity water storage heater can hold up to 13L at once, great for longer showers and washing facilities. 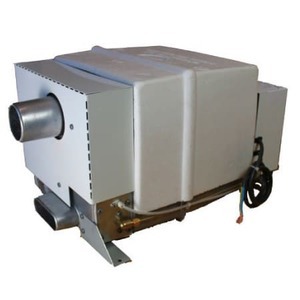 It has an efficient gas burner, speeding up the warm up process and a small flue terminal giving it a neat appearance. It is very easy to use with all controls accessible at the rear of the unit with the safety of an automatic overheat cut-out. It has a compact size and electronic control. Water connection is 12mm, gas connection is 8mm.